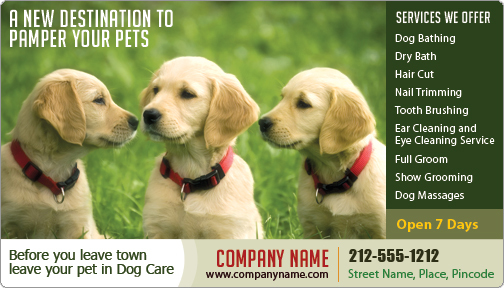 Custom Printed Magnets 4x7 Round Corner Dog Care Magnets offers high visibility, and this makes it one of the highly preferred choices. Advertisers seeking this custom printed magnet in large numbers can gain benefits in the form of lowest customization fee, and discounts. This magnet holds high retention value due to the importance of the business messages imprinted against it. Advertisers can seek benefit in the form of discounted customization fee by ordering it in large numbers.